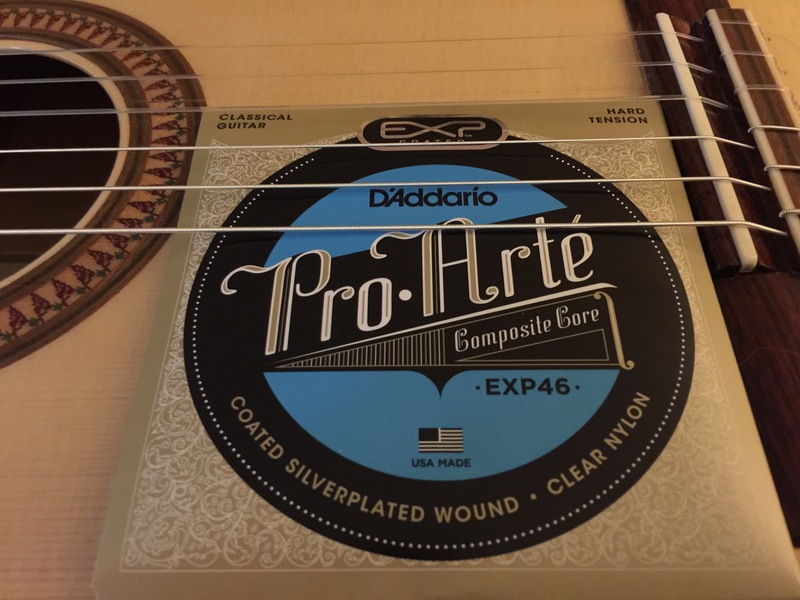 **Update** 9/7/17 The GSI strings seemed to get a bit like harder tension strings so I went back to DÁddarío EXP45 strings. The DÁddarío EXP46 were on my Andy Culpepper Spruce Blanca but I took them off after 3 days. 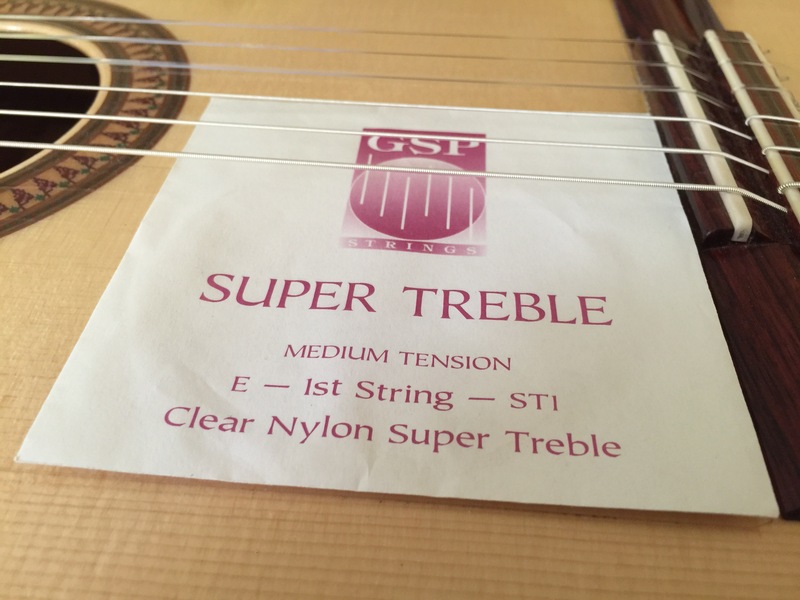 I went back to EJ45’s on the bass and GSP Super Treble Medium Tension. I did keep them on my Cordoba GKSL. I’m liking them a lot. The total tension is 87.36lbs as opposed to EJ45 at 85.85 lbs. so there’s only 1.51 difference in overall tension between EXP46 (Hard Tension) and EJ45 (Nornal Tension) I have used EXP45 they are 81.05 lbs. I have been using EJ45C for 10 years and as my fingernails have shortened and my technique has been improving I felt it was possibly time to change to a higher attention just to see what the tone and feel would be like. I am happy I have tried to hire tension. I feel like it’s a bit easier to play fast passages internally there hasn’t been that much of a shift maybe just the slightest hair of stiffness on the top of the guitar not producing some of the wood or air tone that one might here. Don’t give me wrong it’s still there it’s just the slightest shift that I noticed when I change the strings. 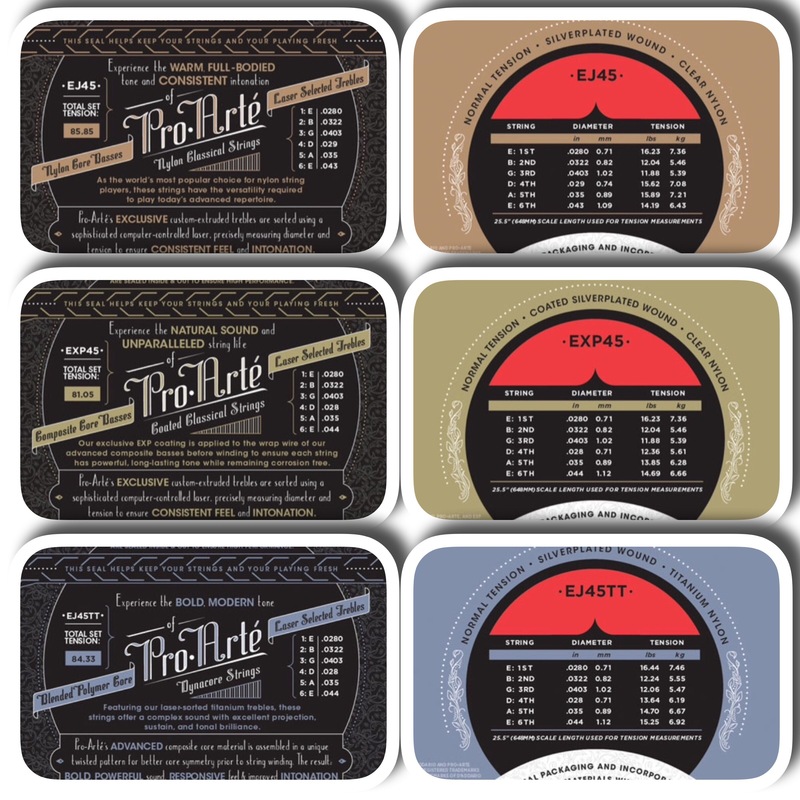 Strings are such a personal preference anyway and there’s so much that goes in to the effect of how the overall tone that is heard gets produced… The humidity in the air. The temperature… and any rate for the moment the Strings seem to be comfortable on these two guitars and I will keep using them for the next couple months. 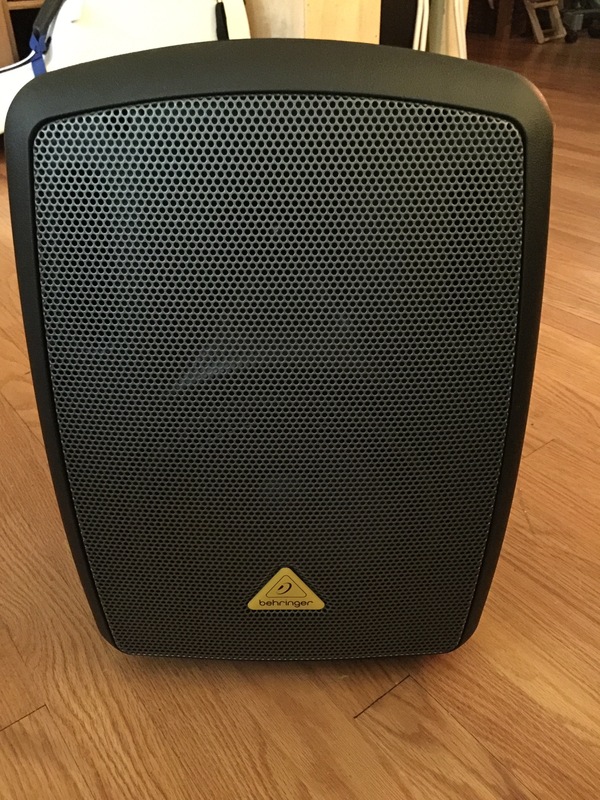 The Behringer Europort MPA40BT is a great all in one Battery Powered PA for less than 180.00 on the street. Two channels line in or XLR. Bluetooth and USB Digital 2 Mic Capability. Power for 8hrs. 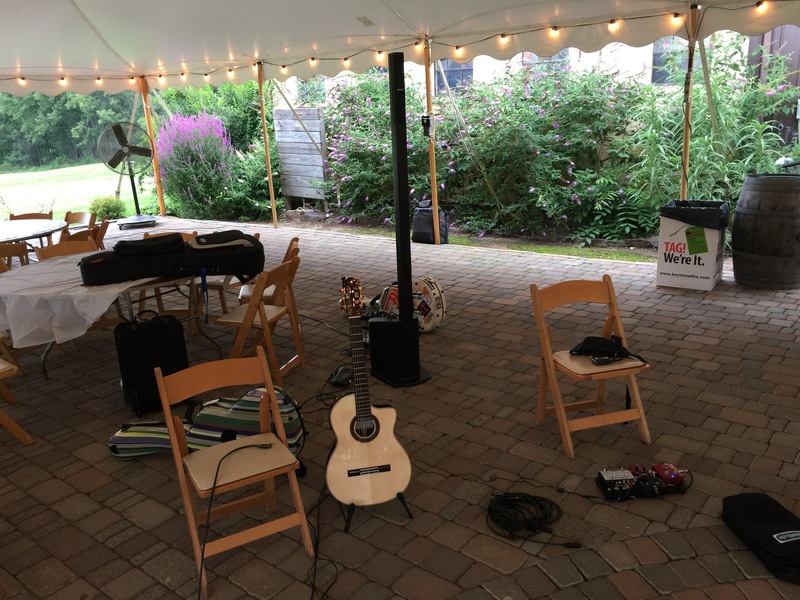 It solves a problem for the gigging musician who has paying gigs for 50-150 people but dose not need the power a DJ would need for a dance floor party. 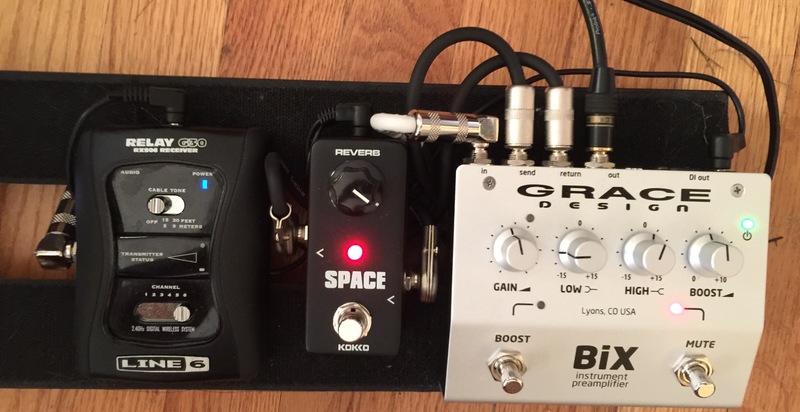 So many gigs just need some general power to amplify for a small group. This is an easy set up and makes for a nice gig paying 175.00-300.00 and in a park or backyard. Just grab your guitar the Europort MPA40BT and maybe a mic or a few battery powered effects and You good to go. I could see busking with this too in NYC. The Bluetooth feature let’s you stream from your iPhone or Android device. I’ve used it with my Andy Culpepper Spruce Blanca with a LR Baggs Dual Source and my Cordoba GKSL with a Fishman Presus Blend. Both sound great. Thank you Michael Perez for sharing the information on the Behringer Europort MPA40BT with me. For more information check http://m.music-group.com/Categories/Behringer/Portable-PA-Systems/Compact-PA-Systems/MPA40BT/p/P0AVS. See video at bottom for and idea of the sound. 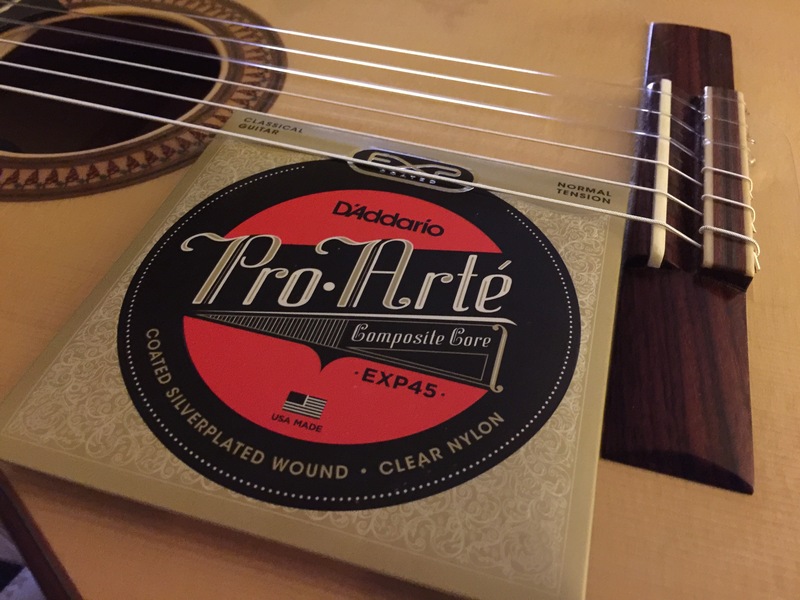 I just put a set of Daddario EXP45’s on my Culpepper Flamenco Blanca and like the feel and tone. They seem to sound just a bit brighter (tonally) than the EJ45’s. The basses also set up very quickly. 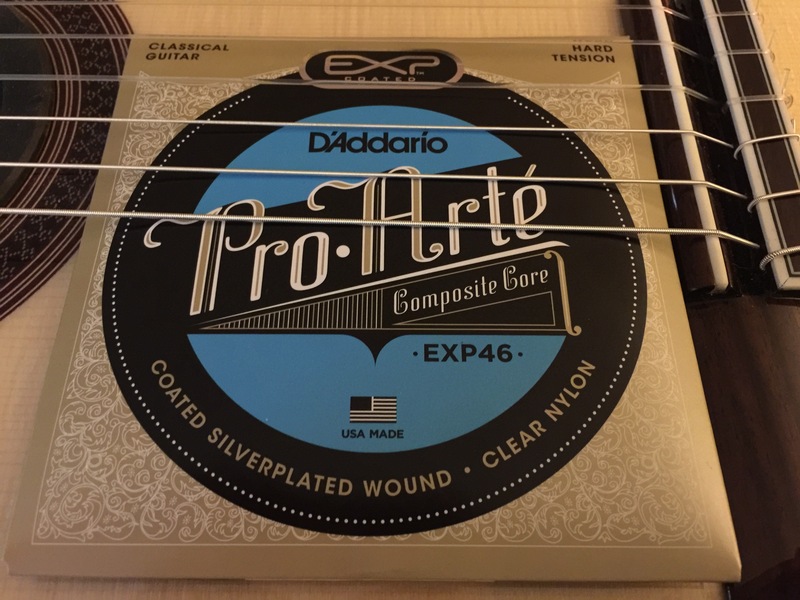 For the differences in tension and diamater of the strings in the EJ45 series see below. -Update 8/17/17- I just returned from Andy Culpepper’s shop up in Ithica NY he did a few set up adjustments to the GKSL and replaced the saddle so my action is at 2.6mm on bass and 2.5mm on treble. The guitar feels good and is easy to play. I also replaced the Savarez 500CJ strings with Daddario EJ45TT which I seem to like more. 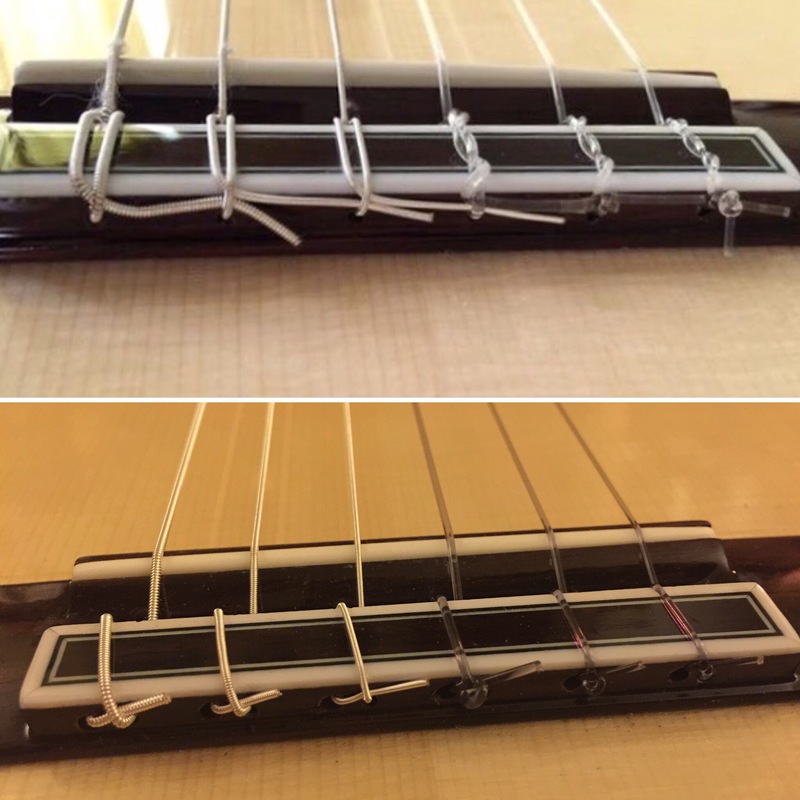 The top picture is the before and second is the picture from Andy’s set up with Daddario EJ45TT strings. I have done two gigs with the guitar and am very impressed. I recently returned a Yamaha SLG200NW Silent guitar due to tone issues live amplified. 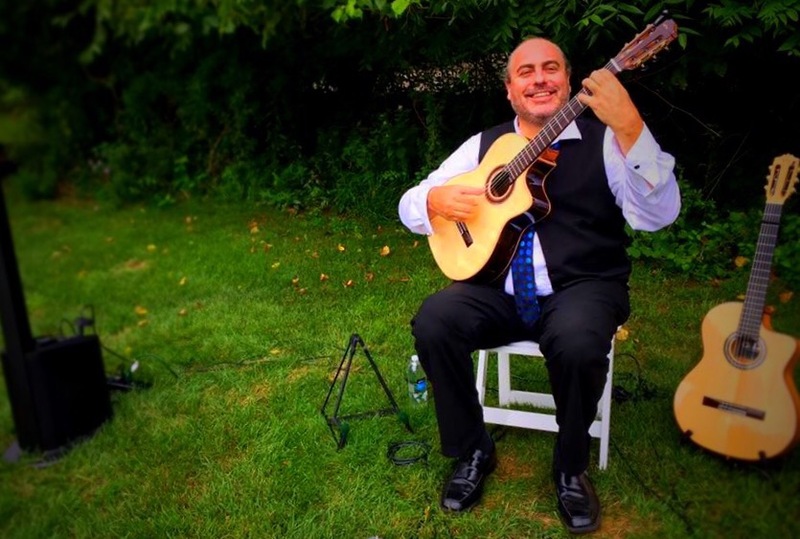 I needed a guitar for outdoor beach weddings, outdoor gigs in the sun and high humidity so I chose the Cordoba GK Studio Limited to replace the Yamaha. It has built in pick & mic the Fishman Presys Blend. Solid Spruce top and Lamented Ziricote back and side with a high gloss polyurethane finish. That will protect the guitar from the weather and sweet. The GK Studio Limited offers a new spin on Cordoba’s ultimate gigging instrument. Based on the success of its sister models, the GK Studio Limited features a solid European spruce top and striking ziricote back and sides. Accented with olive green and gray highlights, ziricote provides a rich, smooth sound that fills a room. This nylon string guitar comes equipped with a soft cutaway and Fishman Presys Blend pickup. The GK Studio Limited is a flamenco guitar made for the stage, constructed with a slightly thinner body depth, neck, and nut width than a traditional Spanish guitar. The neck is designed to have little or no relief, offering low action for ease of comfort and quick playability. For flamenco players, this model offers a bassier and more robust tone in contrast to the bright, snappy sound of ‘blanca’ flamenco guitars, but any guitarist looking for a new tone to add to the repertoire will feel right at home with the GK Studio Limited. With its comfortable body shape and unique tonewood combination, this model is the perfect choice for exploring the nuances in sound that can only be captured with nylon strings. Like every Cordoba guitar, this model also has a two-way truss rod built into the neck. Other premium features include a rosewood fingerboard and bridge, high gloss finish, clear flamenco-style tap plate, and Savarez Cristal Corum strings. The GK Studio Limited includes Cordoba’s deluxe gig bag.